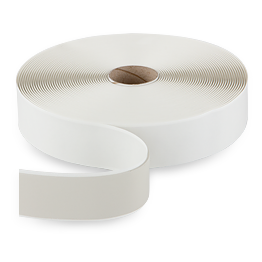 0311 is a high performance butyl tape, for higher specification roofing applications, such as sealing of rooflights and for sealing in many caravan application. Excellent adhesion to a wide range of substrates, good UV resistance, highly conformable, remains flexible throughout its service life, easy and accurate to use with little waste and no mess. The sealant is a semi solid article based on a blend of rubber and polybutene with inorganic fillers, plasticisers and flow modifiers. Classification (EC 1272/2008) Not classified as hazardous. Classified as an article. Classification (EC 1999/45/EC) Not classified as hazardous. Hazard Statements No known significant effects or critical hazards. Description of first aid measures - Eye contact: Flush with water. Seek medical advice if irritation persists. Immediately flush with plenty of water for 15 minutes. Remove any contact lenses and open eyes wide apart. Get medical attention if any discomfort continues. Skin contact: :Wipe off and wash with soap and water. Seek medical advice if irritation persists. Inhalation: Remove to fresh air. Get medical attention if any discomfort continues. Ingestion: Get medical attention if any discomfort continues. Most important symptoms and effects, both acute and delayed: Prolonged contact with the skin may cause irritation. Indication of any immediate medical attention and special treatment needed: No recommendation given, but if in doubt get medical attention promptly. Extinguishing Media - Suitable extinguishing media: Carbon dioxide, foam, dry powder or fine water spray. Water can be used to cool containers exposed to fire. Unsuitable extinguishing media : None known. Special hazards arising from substance or mixture - Special protective equipment / procedures: Carbon oxides and traces of incompletely burned carbon compounds. A self-contained respirator and protective clothing should be worn. Keep containers cool with water spray until well after fire is out. Determine the need to evacuate or isolate the area according to your local emergency plan. Personal precautions, protective equipment and emergency procedures: Wear proper protective equipment. Environmental precautions: : Prevent material from entering surface waters, drains and soil. Methods for containment and cleaning up: Scrape up and place in a container fitted with a lid. Dispose of in accordance with local regulations. Precautions for safe handling: General ventilation is recommended. Avoid skin and eye contact. Do not breathe vapour. Conditions for safe storage, including any incompatibilities : Keep container closed and store away from moisture. Storage temperature should be between 5° C and 30° C with a relative humidity of < 50 % . Personal protective equipment - Respiratory protection: Not necessary. Hand protection: Protective equipment is not normally necessary. Gloves should be worn where repeated or prolonged contact can occur. Eye protection: Avoid contact with eyes. Skin protection: Protective equipment is not normally necessary. Hygiene measures: Exercise good industrial hygiene practice. Wash after handling, especially before eating, drinking or smoking. Information on basic physical and chemical properties - Appearance: Semi-solid tape. Colour : Black, grey or white. Reactivity: o specific test data available for this article. Refer to conditions to avoid and incompatible materials for additional information. Chemical stability: This article is stable. Incompatible materials: Keep article away from strong acids, bases. The packaging will be affected by moisture. Hazardous decomposition products: Carbon monoxide and carbon dioxide will be generated. On contact with eyes: May cause smarting and irritation. On skin contact: Prolonged contact may defat and dry the skin leading to possible irritation and dermatitis. On ingestion: May cause irritation of the mouth, throat and digestive system. Other health hazard information: None known. Toxicity: Not classified as dangerous. Persistence and degradability: Biologically not degradable. Bioaccumulative potential: This article is not expected to bioaccumulate through food chains in the environment. Mobility in soil: This product is not likely to move rapidly with surface or groundwater flows because it is not soluble in water. Waste treatment methods - Product disposal: Dispose of in accordance with local regulations. Do not empty product into drains. According to the European catalogue, waste codes are not product specific, but application specific. The user should assign waste codes, preferably in discussion with the waste disposal authorities. Packaging disposal: Dispose of in accordance with local regulations. Do not empty product into drains. The user should assign waste codes, preferably in discussion with the waste disposal authorities. Hazardous waste: Consult an environmental professional to determine if local, regional or national regulations would classify spilled or contaminated materials as hazardous waste. Safety, health and environmental regulations/legislation specific for the substance or mixture - Nature of hazard: No specific regulations or labelling requirements. Hazard symbols: No specific regulations or labelling requirements. R-phrases: No specific regulations or labelling requirements. S-phrases: No specific regulations or labelling requirements. EU Regulations: Classifications have been performed according to EU directives 1999/45/EC and 67/548/EEC as amended and adapted. Chemical Safety Assessment: No chemical safety assessment has been carried out for this Article. This Product Safety Data Sheet was prepared in compliance with article 31 and Annex II of the EU REACH regulation as well as their relevant amendments, on the approximation of laws, regulations and administrative provisions relative to the classification, packaging and labelling of dangerous substances and preparations. It is the responsibility of the persons in receipt of this Product Safety Data Sheet to ensure that the information contained herein is properly read and understood by all people who may use, handle, dispose of or in any way come in to contact with the product. All information and instructions provided in the Product Safety Data Sheet are based on the current state of scientific and technical knowledge at the date indicated on the present Product Safety Data Sheet. PR International Ltd shall not be held responsible for any defect in the product covered by this Product Safety Data Sheet, should the existence of such defect not be detectable considering the current state of scientific and technical knowledge.